Water-free Polycrystalline Diamond Suspension for metallographic specimen preparation. These suspensions are fully glycol based thus free of oil and any hazardous or flammable components and do therefore not come with any hazard ratings. They contain less than 0.1% water and are perfect for the preparation of water sensitive specimens. Being oil-free, the suspensions are also very easy to clean. 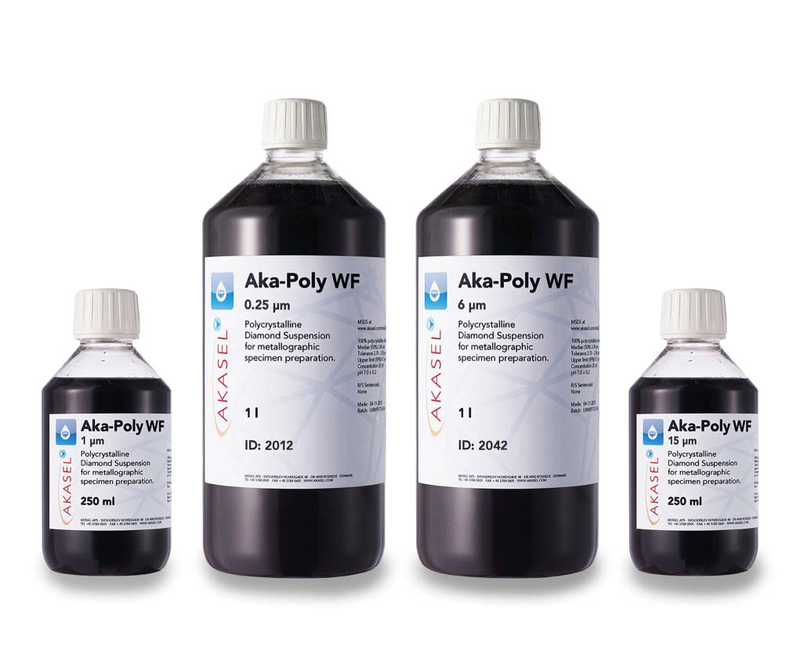 Aka-Poly Water-free is only available with polycrystalline diamonds.